Francois Villard did not start out to be a wine maker. At first, François Villard worked in the wine and food industry in a restaurant. After considering a career as a sommelier, luckily for us, he turned to wine making. Francois Villard began planting vines in 1989, with the help of Yves Cuilleron. By 1991, Francois Villard made the jump to becoming a full time wine maker, producing wine from a combination of his own vineyards and purchased grapes. Once he got started, he never looked back. From that point on, Francois Villard has continued expanding his vineyards and the wines he produces. Villard is currently producing close to 30 different wines from a myriad of different Northern Rhone Valley appellations. Francois Villard produces 2 Cote Rotie wines. His first wines were sold under the name of Francois Villard Cote Rotie. That wine is no longer produced. Francois Villard La Brocarde comes from vines planted on the Cote Blonde with up to 13% Viognier in the blend. The wine takes its name from the La Brocarde lieu-dit. The berries are whole cluster fermented and up to 30% of the grapes are destemmed. The wine is aged in between 80% new, French oak barrels to 100% new, oak, depending the character of the vintage. The wine spends close to 18 months in barrel before bottling. The production is quite small as only 100 cases are produced in an average year. Francois Villard Le Gallet Blanc found the inspiration for the wine and its name from 2 growers that Francois Villard purchases grapes from, Mr. Gallet and Mr. Blanc. The wine is produced from mostly Syrah and just a dollop of Viognier, up to perhaps 1% or 2% of the blend. The grapes are planted in the lieux-dits of; Cote Bodin, Le Grand Taillis, Fontjean, le Plomb, Montlys and Servonniere on a steep granite and schist hillside terroir. The berries are whole cluster fermented and up to 30% of the grapes are destemmed. The wine is then aged in an average of 50% new, French oak barrels for up to 18 months before bottling. The production is sizable for Cote Rotie at close to 1,625 cases per vintage. Francois Villard, when young, should be decanted at least 1-2 hours, give or take, allowing the wines to soften and open their perfume. Older vintages might need very little decanting, just enough to remove the sediment. Francois Villard is often better with 5-8 years of cellaring and should be at its best between 8-15 years of age. Francois Villard is best served at 15.5 degrees Celsius, 60 degrees Fahrenheit. The cool, almost cellar temperature gives the wine more freshness and lift. Domaine Jasmin is best served with all types of classic meat dishes, veal, pork, beef, lamb, duck, game, roast chicken, roasted, braised and grilled dishes, tomatoes, eggplant and sausage. Francois Villard is also good with Asian dishes, hearty fish courses like tuna, mushrooms and pasta. Condrieu, the white wine of Francois Villard is best served with a myriad of different seafood dishes, shellfish, crab, lobster, sushi, sashimi, chicken, pork and veal, as well as Asian cuisine. 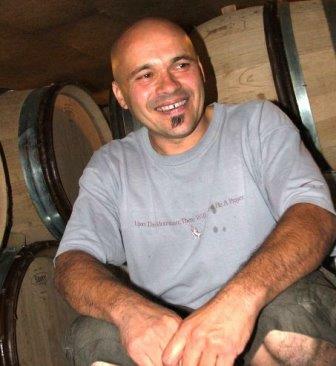 Francois Villard also produces a myriad of wines in the Northern Rhone from Condrieu, red and white wine from St. Joseph, Crozes Hermitage and Cornas. He also produces a vast array of well priced, tasty, Vin de France wines. Today, Francois Villard makes almost 30 different wines. The wine is dark in color, with a nose of bright, red, spicy, fruit, black pepper, green olives and herbs. Full-bodied and deep with a tannic spine, this is about the multiple layers of fruit, beautiful purity and rich textures that will start to show with 6-8 years in the cellar. The color is dark letting you know the wine will offer depth of flavor and concentration. On the palate, the fruit shows a beautiful purity, elegance and freshness. The salty, rock hewn tannnins give the wine the structure to age, and the fruit, with its peppery edge tastes as good as it feels! peppery, crisp. Invigorating red fruits. Give this at least 5 or more years to settle in, soften and develop additional nuances. Medium bodied, fresh, bright, crisp with juicy red fruits, espresso, flowers, smoke and spiced, peppery cherries. Fresh, lively, and expressive, the oak should further integrate with a few more years in the bottle. Super nice wine that is just starting to come around. Lots of smoke, dark cherries, black raspberries, earth and some vanilla bean on the nose. Silky, fresh, crisp, ripe, sweet red fruits carry all the way through. This blend of 90% Syrah and 10% Viognier is ready to go, with its kirsch, stone, flower and oak filled nose. The wine is medium bodied, crisp and fresh.